I was coming from Sharkeyya on the 10th of Feb at 4 a.m. with my dad. We were in front of the Fateh mosque in Ramsis. We were on our way home after we failed to visit my sister because of the curfew. It was 4 a.m. My father went to get some food. There was nobody around us, only two more people. Four tall people came, wearing sunglasses, dressed in black, the glass of their car was grey. They carried weapons and beat us with the back of the gun, the three of us. They blindfolded us and kept beating us. We all fainted. They put us in a car. WE drove for a long time. They took us to a place called ward 1, a group of cells. Adults were put 2 in each cell and the young 3 in each cell. They made us rum while they whipped us, they beat us with their hands as well. There were two rows of soldiers who would extend their legs so that we trip and fall. Then they would beat us again. Then two tall people came again with sun glasses, they would put electric wires onto us for half a minute and then rest of a few minutes and then repeat. The first three days they only used obscenities. No food, no water, no toilets. Then we got a piece of cheese and half a loaf of baladi bread in the late afternoon. That was the food. How would they wake us up? They would shoot in the air from the beginning of the ward. WE woke up to the sound of shooting bullets every day. The second week they would throw gas canisters and shoot at the ceiling of the ward. They beat us with sticks. They removed the blindfolded after 3 days. The walls were black and a small window 20 x 20 cm. the cell was small not enough for three people to sleep next to each other. A new person joined us in the cell near by. Don't remember what time. He told us we are in Abdeen palace. Third week they kept telling us you have put the country on fire. We were 100 or less. I was the youngest. I had no ID. I gave them my school ID. I was released yesterday (28 Feb) after midnight. The father has not returned yet. - The day before we were transferred, 22 detainees were called – including 6 from our group of 15 and were later released. We remaining 9 were called to collect our belongings (money and phones etc) and had to sign a receipt. Then our belongings were taken from us again. We were blindfolded and handcuffed. They put us in a group with others into a civilian vehicle – inside it looked like a freezer for transporting food. It had no windows and only a small van. We were driven to an unknown location which we later learned to be the military prison in Heikstep. The drive took about 1 hour. When we arrived soldiers took off our blindfold and handcuffs. We were ordered to take our clothes off – except for our shorts and to lie on the ground. There were about 30 soldiers - including from the Sa’iqa brigade – who were beating us while we were lying face down on the ground. They beat us with whips, belts, plastic cables and used tasers to give us electric shocks. The commander blew the whistle to make the soldiers start and stop the beating. The beating session lasted for about 45 minutes. We were told to line up to enter the prison block. While we were walking into the prison block we were beaten and tasers were used as well. After entering our prison block we had to stand in the courtyard where we were beaten by about 3 soldiers wearing uniforms. Some of us were in a terrible state. After about 1 hour we were told to dress and taken into our cells. The cells were overcrowded. Those with injuries were allowed to see the prison doctor for treatment. On the 28th of January, I and another person (who could not come with me today) were in a car along the cornice. We were stopped by a popular committee and they checked the licenses. We drove a little and they attacked us. We could not foresee this. They destroyed the car. We were taken by army officers in a small truck and handcuffed us behind our backs. We arrived at Qobri El Qobba (investigations). They said you'll stay only for half an hour and then we will let you go. I said I was a student. Behind me stood a man who stabbed me with a knife in my leg and then I was hit hard on the back of my head. My head bled and they sent me to have it stitched: 20 stitches. Hardly the doctor finished his work I was blindfolded and handcuffed and taken to another place. Beating, electric shocks, stripping. Then they took us to the military prison for 17 days. Beatings and humiliation. They beat with hoses, shows, belts and with their hands. They even used a tree branch and then there was this electric baton. The food was very little, barely to keep us alive. No water. The cell was very small. The day they do not beat us they humiliate us. We would have to squat and if one moves one gets beaten. Saturday the 12th of February they took us to the New Valley prison (El Wadi El Gadid), first by train to Assiut and then in a prison truck. We arrived Sunday morning. Beatings at the entrance but to a lesser extent. Then the treatment got better. My mother looked for in the morgue and all prisons. She traveled a lot and was badly treated. In the train station we were beaten by central and state security, as we were the ones who ruined the country. Then we went to the prosecution accused of forced theft (we didn't have anything on us), destruction of public property and breaking the curfew. There were volunteer lawyers we did not know. Breaking the curfew was established and we learned that they sentenced us to 6 months. That is why they took us to the New Valley. They released us on the 16th of February in the afternoon. They released us 15 each without money, without anything. We helped each other. The took our IDs and did not return them. We don't know what is the legal situation right now. Nobody told us anything and we did not see any papers. I was imprisoned and they beat me on Sunday in Gesr El Suez. I was beaten with a belt by the army. They used me as a carpet on the floor. They released me two weeks later. They beat me once after entering the military prison. They burnt my hand with a lighter. Then a doctor saw me and treated my injury. I didn't do anything. They said I was a thief but I didn't do anything. I was going to take the metro to go home. They tied my hands behind my back. Then they put me in a car and took me to the big car. There were Egyptians and Sudanese with me. 6 people were arrested with me. There we found many other Egyptians, adults and children. They were beating elderly men and little children and then they would untie them. When do we leave? They say tomorrow. They took me in a car. There were people whom they whipped with a Sudanese whip and belt and feed them jam. At night there is nothing but beans. They held us in a room that has no light and the window is small and high. Brother: It was curfew. He does not have an ID (Victim is mentally disabled). The army arrested him and beat him with a belt and tied his hands and blindfolded him and his body has many signs of burning. He was not eating while in prison. When he was released he was devastated. He came alone at 3 am. It was the anger Friday. He was among those who challenged security tanks in Ramla station and was injured in his hand. At 8 pm on Saturday the 29th of January he went to his father's working place in a Skoda. He was accompanied by his neighbor to deliver a check at the public hospital for a blood transfusion for his mother suffering third degree cancer. As soon as left his car he was arrested by the army although he showed them the check for the blood bag. They took all his belongings, the check, his ID and driving license and 280 pounds which he had on him. "We were 104 people in one room. We were piled on top of each other. They threw water on us all the time. They beat us with sticks that had protrusions like long nails. The next day they took us out to a huge yard. (He was filmed on TV as a thug). He was tortured for 5 days by the army using electric shocks, whips and his back and legs were badly injured. They transported them in a container car. I was in Tahrir square on Wednesday afternoon. I left the square to go to Nozha street to return to Suez. I took a taxi and as soon as the driver knew I was from Suez he looked upset and drove very fast and handed me over to the army check point nearby. They were in black uniform. He told them, this man is from Suez and he has come to destroy the country. The officer was armed. He pushed me in a police car which had people dressed in black inside. They beat me so brutally that I lost consciousness. When I regained consciousness found myself without my clothes (they stole them). I was very tired and they kept transferring me from one place to another while the beating continued with electrified batons all over my body. Again I fainted. People with me in the car told me they thought I was dead because I started snoring and foam was coming out of my mouth and said hide him so that nobody sees him. I woke up in the military intelligence center in front of Tiba Mall in Madinet Nasr. Somebody from the medical center of the air forces said we are in center 75 of the military intelligence. Another detainee carried me and I looked through the window and saw the back wall of the ministry of defense. We were interrogated twice and during the two times I was blindfolded and my hands were tied behind my back.. He asked me, is this the first time you are interrogated by SSI. I asked, are we in SSI? He said yes. He said you look like a member of the Brotherhood. I told him I am an artist and I paint and I cannot be a member of the Brotherhood. He interrogated me for more than an hour and then he said, you have wasted my time and got on my nerves. We shall take you to the detention center. Anybody who knew I was from Suez beat me brutally. They threatened to hand me over to central security who hate people from Suez. They told me, you have absolutely no record here. You are in a no return zone. After each interrogation he would remove my blindfolded a little and make me sign on a paper which I did not read. Saturday they took us to the military prison in the Heikstep. They put us in a freezer car, completely closed, with no air. Our eyes were blindfolded and our hands tied and we were thrown on top of each other. We were 52 people. I know because they called our names. Among us were thugs. In the military prison we saw brutal torture. They received us with something called the "twister". They made us take off our clothes, except for the slip and told us to sleep face down. They walked over our backs and beat us with whips, electric batons and another type of sticks. They were dressed like Special Forces and the badge said Sa'aeqa. Somebody would whistle and they start the torture, and then whistle again and they would stop for a few minutes. On the 1st of February I was arrested in Alexandria at 9 p.m. I was documenting events in el Horeyya street and the burned police stations. They were arresting people and taking young people between 15 and 30 years of age putting them in the Alexandria directorate. I was taking pictures when suddenly more than one person, dressed in plainclothes. The area was dark and quiet. We were close to the graveyards. They took me to a place that looked like a school yard. They were joined by other people who pulled me from my shirt and were obscene in their language then started to slap me. I told them you have no right to do that and they said, you still haven't seen anything. I have never seen so much terror as I have seen there. Brutal beating, people with their hands tied behind their backs and beaten. People were screaming. Torture is a mild description of what was happening there. Until then they had not done it to me but I felt terrified seeing the weapons and the batons in their hands. First they point them at their faces and then they would hit them with the rifle buts in their chests and stomachs. Then an officer came for me. I told him I am a journalist. I don't belong to any group and I told him you have my papers. He left and spoke to his senior, an officer by the name of Esam. I was still watching the torture and then they came for me. They pulled me from the back of my shirt and said when you write tell people to chant for the army and the people. He hit me in my stomach with the but of his weapon, they tied me from the back, forced me on my knees and beat me and then forced me on the floor and walked over me. The beating was endless. Then they ordered us to stand up without help, but we were tied, so we stumbled. I tried to stand up but fell and bled from my mouth. Then they took me to state security and from there I was released. On the way to state security I discovered that they knew all the popular committees along the way. At SSI they untied my hand and tied them in front of me using my belt. They untied my legs. When they released me I could not walk. I was limping. People on the street took me to Nariman hospital. I submitted a complaint to the press office. We were in a search committee at 5 p.m. searching those joining the protest. A group came and tried to incite a fight. They said leave or else we'll harm you. The soldiers and the army shot gunfire at about 7 p.m. in the air. I ran. An army officer came and hit me with the rifle but in my chest. They gathered around me and took me to the army. They took me to the SSI building and beat and slapped and kicked me. A young officer came and said, what is happening. I told him I was beaten by the army. He hit me with an electric baton and gave me over to a soldier. I entered through a gate guarded by people in uniform. They asked: why are you here? Then he let us through. They blindfolded me and kicked my in the back of my knee so that I fell. They continued beating me. I felt something heavy hit against my leg. I think it was his rifle again. He kicked me and walked over my back and hit me several times with his boots. I was not talking and was not screaming. They handcuffed me behind my back. I told them I have hemophilia (bleeding blood disease) They brought the electric teaser and electrocuted me in my swollen hands. We were sleeping face down with our legs apart. I felt something burn on my buttocks. Obscenities and terrible verbal abuse. A man came and said, stop beating and they would laugh and continue. This lasted for about two hours. My hands were hurting terribly. A soldier cut the wire that was binding my hands and told me move your hands. The officer saw him and said who untied him? They made me squat and would hit me on my heels and when I fell they hit me on the back. We stood facing the wall…. They put us in the army tank. 27 people thrown on top of each other. I felt my hands were falling off. We arrived at the military police. They asked, what has happened? We said the army has beaten us? They called for a solider who came with a pocket knife and said it is impossible they were the army. He helped me sit up and they treated us very decently. They distributed us over two rooms. The military prosecutor was very aggressive and insulting. He would say, happy with the revolution? Well that is what the revolution has brought you. 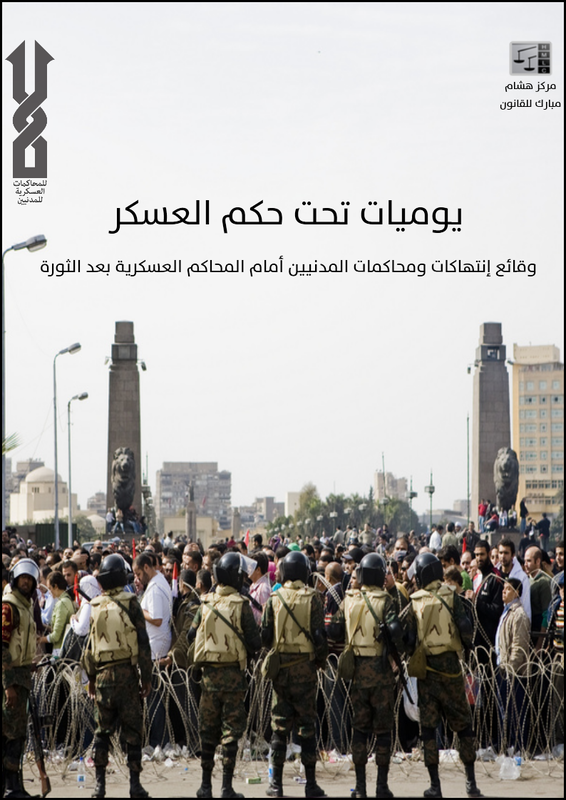 The Tahrir protest was peaceful from the 25th of January to the 13th of February. After Mubarak stepped down I rested for two days and returned on the Friday of Victory. Of course the rest of our demands were not met. We were against Shafik and the rest was not implemented yet. On the 25th of February the army attacked us at 2 am. About 300 people holding sticks and tasers beat us without any reason until 4 a.m. We were about 350 people in Tahrir. We were beaten and so were the girls. I was taking pictures because (----) is a writer and we were recording. I called her at 2.30. She was injured. They held us inside the Development bank. We were all injured and they continued to beat us despite our injuries. Then came an ambulance. Some took it and were not brought back. We spent the night in front of the Nasserite party. In the morning we returned to the square and the protest continued until Tuesday. Then the thugs came, about 100 of them. They had Molotov and empty bottles and iron bars and sticks. They came from Kasr El Aini street. WE ran after them until we forced them to leave. We felt something will happen. We raised banners saying "despite SSI I am a Muslim and love my Coptic brother". We spent about two hours in Maspero. Then we heard that there is violence in the square. We returned taking the route of the museum. People were pointing at us saying to the army here are the thugs. We were journalists and engineers and university graduates. WE went to the square. After 10 minutes we saw two people standing on the roof of a building pointing at us and other people. Then they started throwing stones. About 300 or 400 people, dressed in black jeans and shirts. We ran after them. One of us got injured. I carried him to the museum. The army was blocking the way and standing with them were thugs. They grabbed the young man I was carrying, about 16 years old and beat him brutally. Then they grabbed me and beat me in the face and back. They kicked me and then took me to the museum. Two soldiers handed me over to the two other solders and they continued beating me. Until now the beating was mostly with their hands. They took my money, my mobile, and a bag with a camera. In the museum they took me through a gate and I found an army officer carrying a weapon. They told me face down ----- . "you were chanting against Mubarak? Mubarak us your president you -----. They handcuffed me behind my back with an electric wire. I was screaming. I felt I will lose my hand. He kept hitting me with his boots on my back and head and neck. They took about 15 or 20 of us and took us to another place. They made us lie face down as well and people would come and walk over our backs and kick us with their boots. I saw an old man die in front of my eyes. His tongue protruded and he was saying: Have mercy. I am sick. They would not listen and continued to beat him. We heard somebody say: he died. I heard somebody say: throw him away. They continued beating us for 4 hours with electric sticks, they electrocuted me in sensitive areas and burned me with a heated wire, still marking my back. People were screaming and moaning around us and then they ordered us to stand up. My hands were hurting terrible. We held to each other to be able to stand. We would bite into each others clothes to give us support. Standing up was difficult. They removed the blindfold. We could see a little despite the blindfold. Suddenly we found none of the torturers around us. Only military police. They made us stand in two lines and took pictures of us to look like thugs. Then they took us still blindfolded to busses and they drove to S 28 in Madinet Nasr. Arriving here they lined us up and brought a long table with about 15 huge new knives on it and Molotov bottles. There were army people and military police. They said: you want the president to leave. Well, the president will stay. You think you have made a revolution. I'll show you what you have been doing so that people know you are thugs…. When they started shooting I went to hide in a building. There was a woman with me and two children. We hid on the roof of the building for an hour. Then the army came with flash lights. The children were crying. When we went down an officer told me I know you, you want to be a leader. He pulled my t-shirt and covered my face and handed me over to the soldiers. After we crossed the wire separating the demonstrators from the building they dragged me for 150 meters towards the building. 3 or 4 surrounded me. They would beat me with sticks or their rifle buts or belts and I felt electric shocks. They handcuffed me and I felt I was walking over bodies. They pushed me to the ground and made me lie face down. For an hour and a half. They walked all over our backs and the soldiers hit with the belts and with electric wires. The screaming was terrible. I felt I will dies. I pretended to be dead. They beat me on the head and I kept silent while they were beating. They threw water on my face and removed the t-shirt off my face. One of them told me we shall do more to you. They pulled my trousers down. I screamed, don't do that. Beat me as much as you want, but do not do that. They said: we shall break you. They did what they did with the barrel of a rifle and a stick several times. This happened to four others. They finished and tightened the handcuffing. They pushed us into the tank, one on top of the other. There was lots of screaming and SOS. They beat more brutally. They took my money and my jacket. We arrived almost dead at the 10th of Ramadan. Examination: Cut wound with 5 stitches in the head, dark bruises on the back, buttocks and legs. Wednesday, about noon time after the German foreign minister left, I found stones being thrown at us in the tents. I looked for a friend of mine to ask him to take pictures. Didn't find him. So I took the camera and took some shots and then returned to tent. I found my friend and then they attacked us, the army attacked us. I rant towards the entrance of Talaat Harb street. I was arrested by 4 people in plain clothes who took me to the museum. I remained there for 4 hours, until 8.30. They threw us on top of each other while we were handcuffed and blindfolded. Anybody making a sound would be beaten> they were stepping over our bodies. I was beaten on my head, neck and back. Behind the museum there was military police and army, soldiers and officers as well as the 777 brigade, the special forces dressed in dark green. An officer who knows me let me go. I was in Tahrir since the 25th of January. On the 9th of March I was doing some errands to pay the university fees. When I returned to Tahrir at 12 noon there was a counter demonstration: the people want to empty the square. They were shooting in the air. I felt terrified. Some of my friends were taken by the army and were not returned. We suggested that a group of us girls go and look for the boys in the museum. We were 5 at first and then we became more. We were chanting: the people and the army together. They opened the main gate of the museum for us and an officer said: come in. I was beaten and pushed. They told me come in you ---- and they used very obscene words. When I went inside I found a young woman crying. She said they electrocuted me and her mobile was taken and broken. She was in a nervous breakdown. They tied my hands behind my back. It was loose and they had to tighten it again and again. Then 8 girls came among them journalists and university students and one of them was a university graduate. Obscene words, prostitutes, that is what they called us. The girls collapsed and began to cry. I started to collapse around sun set. Every while or so an officer would come and tell me I shall squash you. They let the journalists and the university graduates leave. At night the real problems began. I started to argue with them. I told them I want to go home. They took us in a bus and took pictures of us. I was very, very brutally beaten in the bus. They focused on me because I answered back. I spat in their faces. I was pulled like an animal from the bus. I was kicked in front of the general. I would faint, they would throw water on my face and then continue beating. We arrived at Madinet Nasr. I was screaming. We spent the night in the bus. The prison guard stripped us and was beating us with hoses. She said "girls will be examined", women won't. I was examined for my virginity by a man wearing a white coat and a female prison guard. The prosecution came to prison. I was interrogated by the prosecution Friday evening at 10 p.m.
On Wednesday a friend of ours was taken to the museum. We did not know why they took him. He is a very peaceful person and was always trying to stay out of trouble. That day the situation was quite violent and there were thugs in the square throwing stones. I went with a friend and a journalist to look for him. We didn't understand what was going on. I was in charge of the square security and the army knew me. We approached the museum and chanted the people and the army are one. Suddenly they took the girls to one side and dragged me to the opposite direction, beating me all the way from the huge gate to the smaller internal gate. Inside I found bodies all over the floor. More than 100 people. I have never seen anything like this. I was beaten with every possible thing, clubs, stick, whip, hose, an electric wire. I was totally ruined that day. They blindfolded me and tied my hands behind my back. They were beating us with anger and hatred. They said we were ruining the country, we've been on the streets for 40 days, we didn't have a day's holiday. They were very obscene. The officer would tell the soldiers mind you we are permitted 50% losses. If somebody dies he can go to hell. They were inciting soldiers against us. They forced us face down on the floor and said we were carrying Molotov and weapons. WE didn't have anything. We are all educated. And if I did have anything I would not have taken it with me. At night they took us in busses. We were about 173 men and about 30 girls. We went to a place called the army compound. They took pictures of us there and then they took us to a desert and kept us in the busses. We slept in the busses. Next morning they took us to the military prison. I had cancer lung and had an operation when I was 14 and have removed two of my ribs. I was not taken into the prison because when the doctor saw the scar of the operation, he said: not this one. I was about to leave but then I had an argument with an officer so he kept me in the bus. From Wednesday to Friday no food, no water, no bathroom. I left on Friday afternoon. I used to admire the army very much. Now I hate the uniform. They dropped me on the ring road. The prison is in the Heikstep. I was wearing slippers and then lost them. They tied me with my jacket. They broke my phone. I was only in my shorts. They would mock me: do you think you are on the beach. They pushed us on tope of each other as if we were "things". Somebody was dying. He was saying his prayers. I shall never forget his face. They filmed us for the media and portrayed us as thugs, as bad people. My brother martyred on the 28th of January, my half brother. He was 12 years old and was shot in the chest and I was shot in my leg. how can the military not be ashamed of what they are doing? it's like human rights never existed. innocent/guilty of an offence/crime, doesn't really matter. treat people with the humanity they deserve.